16 two-sided map sheets, one sheet of Cardboard Heroes miniatures. 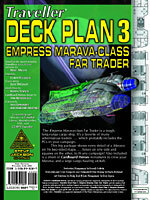 The Empress Marava-Class Far Trader is a tough, long-range cargo ship. It's a favorite of many adventurous traders . . . which probably includes the PCs in your campaign. This big package shows every detail of a Marava on 16 two-sided maps . . . 1" hexes on one side and 1.5" squares on the other, to fit any campaign! 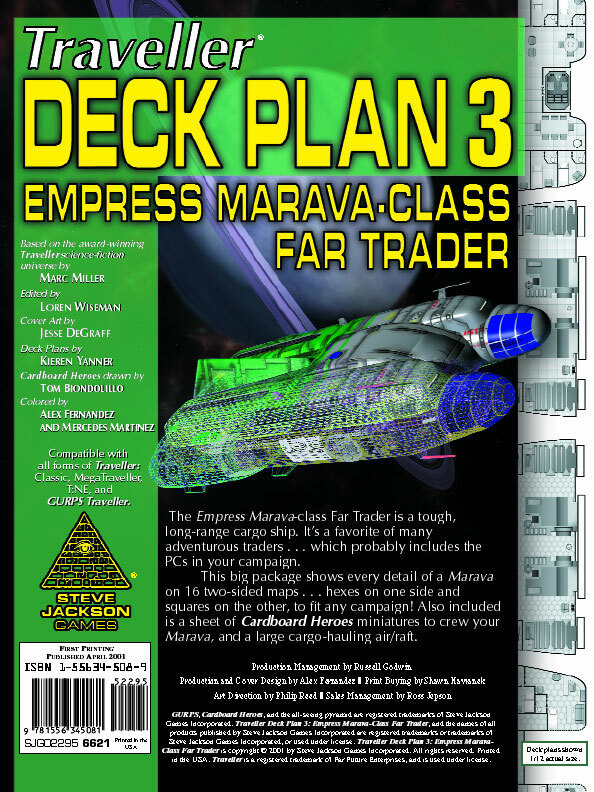 Also included is a sheet of Cardboard Heroes miniatures to crew your Marava, and a large cargo-hauling air/raft.